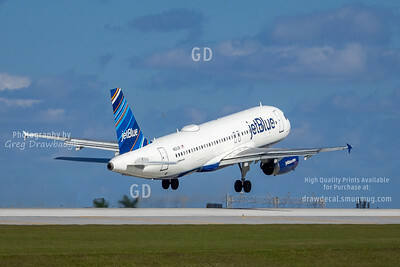 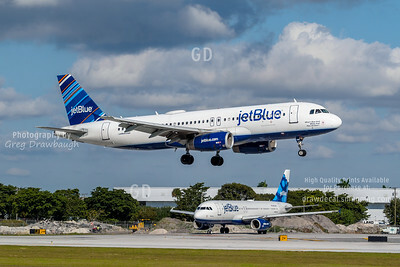 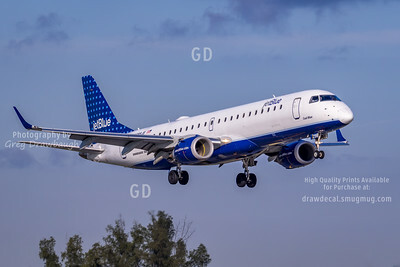 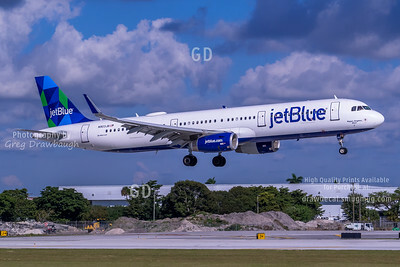 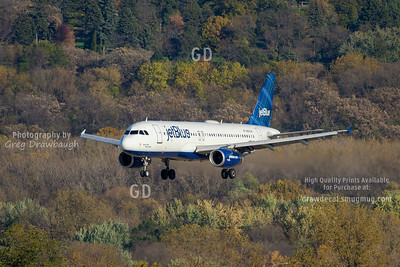 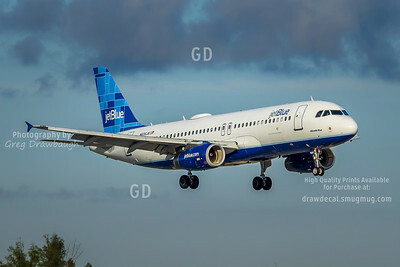 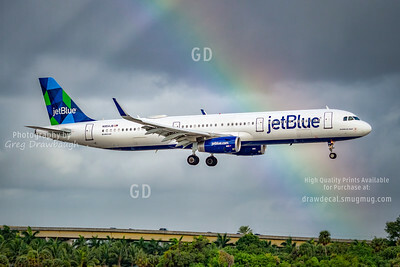 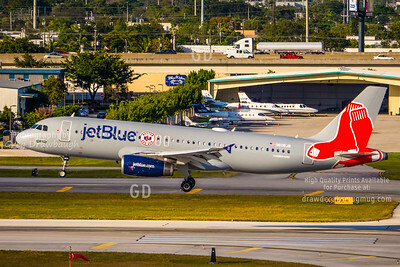 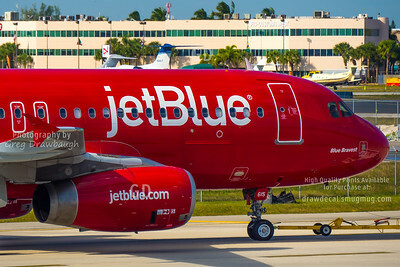 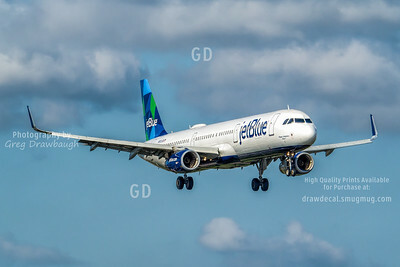 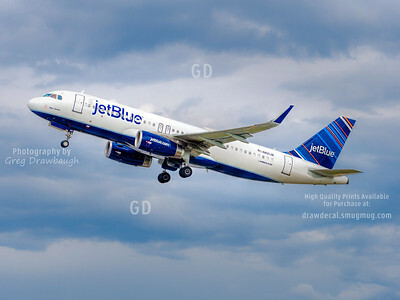 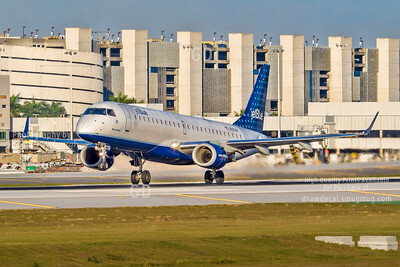 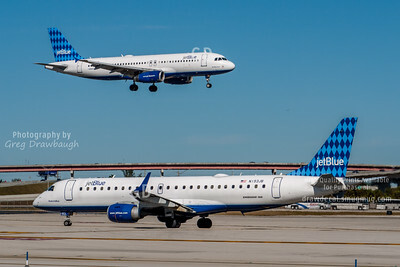 jetBlue Embraer 190 N229JB "Blue Amigo" takes off from Ft Lauderdale. 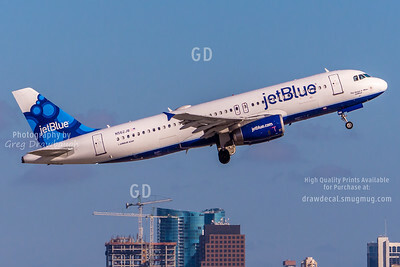 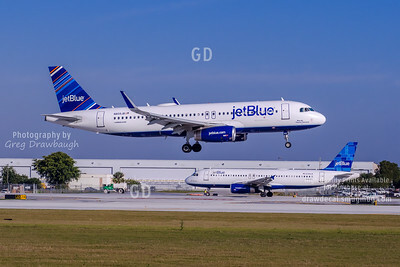 Seen about to land at Ft. Lauderdale, jetBlue A321 N903JB "Bigger, Brighter, Bluer"
Matched JetBlue A320's in the "Blueberry" scheme make a nice matched set in Ft. Lauderdale in January 2014. 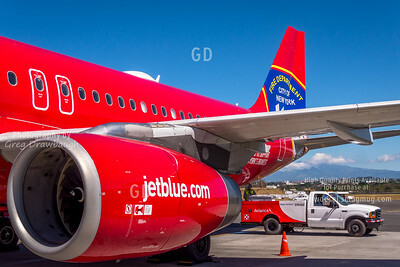 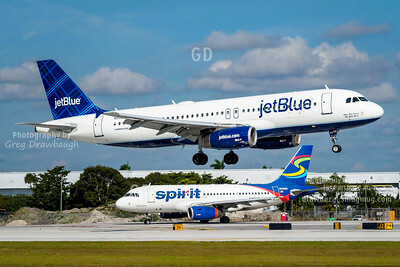 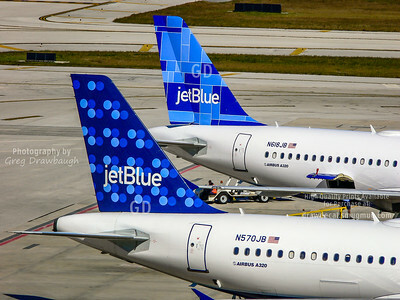 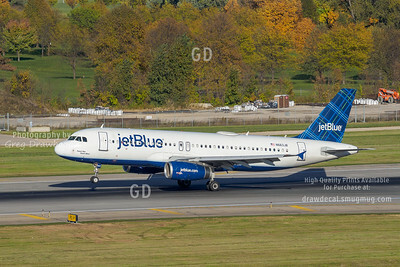 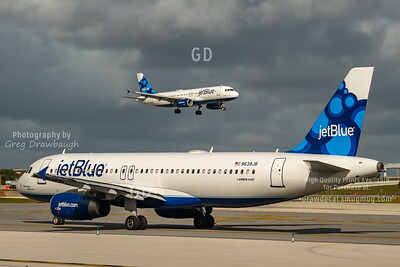 Waiting for the next departure from Ft Lauderdale, jetBlue A320s N570JB and N618JB share the ramp.